Should we receive prayer from others while we are operating in the Courts of Heaven? How about the seemingly endless flow of oil coming miraculously from a Bible? The answer to both of these questions is much the same and both were demonstrated to us in the very same week! If you are being hindered in any of these ways, there may be charges against you in the Courts of Heaven which are giving the enemy access to you. In order to remove that access, we must confess our sins: come into agreement with God that it is wrong and like a piece of dog poo, we don’t want to ever touch it again. When we really see it the way God does, we repent, meaning that we turn from it. These are the steps that Paul gives in order that the Blood of Jesus can blot out our sins from all records in Heaven and Earth. This is the way to remove the access of the enemy for mature believers. However it isn’t the only way to be free. 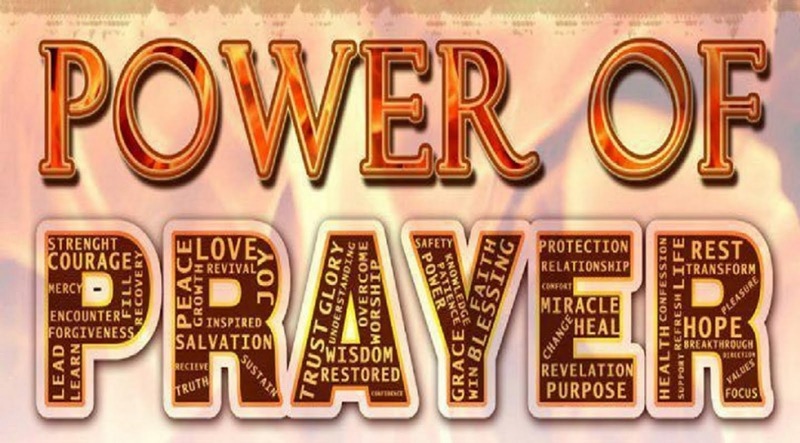 Anointed men and women of God can pray and many times the Name of Jesus can break the power of the enemy allowing God to restore health to His people. However, recent studies show that even in the case of Kathryn Kuhlman, 90% of the people healed, rising miraculously out of wheelchairs and such, lost their healing. Why is this? This was not an isolated incident. He said the same thing to the woman caught in the act of adultery. He told her to stop sinning. The enemy’s access was taken away by the Lord, but He knew the people who were in danger of walking into that sin again. Now days, we are so far removed from God, that most of us do not know when we are in sin. That is why we go to the Courts, to find out where we have missed it! If you begin visiting the Courts and especially if you have received charges, then you will need to turn from that sin, even if an anointed minister prays for you and you are healed. If you have ordered some of the oil that is flowing from the Bible, if you try and use that to get around the charges, no good will come of that either. God has demonstrated this for us with two witnesses. “I received charges, then I went to a conference where an anointed man of God called me up to pray for me. I fell under the power of the Holy Spirit and was healed,” She explained. “So this is why you didn’t come to your appointment?” I asked. “Are you still healed?” The Holy Spirit prompted me to ask. Angela hadn't taken time to understand the charges that she requested. Instead, she accepted the prayer of faith which used the Name of Jesus to assert His authority. This worked for a while, but soon the demon looked to have his place back. This is why Jesus warned people to stop sinning! A prayer of faith may set us free, but in order to stay free, we need to draw close to God and learn His ways. This will keep us from sinning! The Courts of Heaven is a direct way to find out what the enemy is using against us so we can experience more from God. Another one of our petitioners we were helping in the courts, let’s call her Cheyenne, received her bottle of oil which has been miraculously flowing from the Bible in Georgia, (Read about that CLICK HERE). Her husband has a healing anointing, so he used the oil to pray for her. Although Cheyenne had been through the Courts of Heaven, there was a medical condition which kept reappearing in her life. She had sought God for the answer, but she was still suffering with it. Quickly Cheyenne developed a cough and sore throat to go along with the known issue. The Holy Spirit pointed out that she was suffering with the same symptoms as the woman who had asked to be prayed for in the Agape Fellowship meeting. Cheyenne asked if her husband praying for her had caused the cough she developed quickly after that. We sought the answers in the Courts: Was there access granted to the enemy concerning her recurring medical issue? Charges were stated which spoke to Cheyenne. She repented for “abuse of authority,” for trying to remove the enemy without responding to the charges and the cold left! If you have come into the courts and found the charges of the adversary, you may get grace from the Judge for a while, but eventually you will need to respond to those charges. If you would like help finding out what the enemy has against you, we have trained prayer teams who would be glad to help!